When I find myself with some extra time, one of my favorite things to do is bake something new. There’s nothing like researching and finding the perfect recipe, and then bustling around the kitchen measuring and mixing and putting together something new and delicious to try and share with the ones you love. 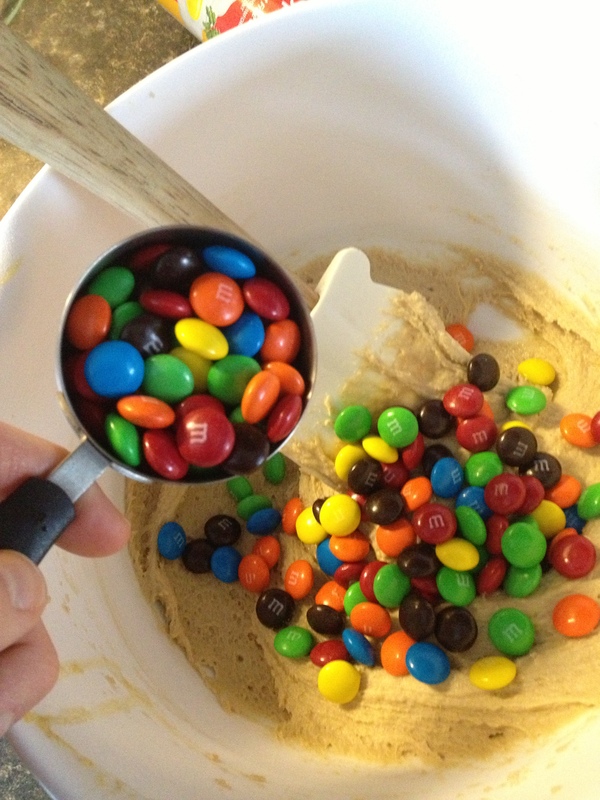 M&M’s – This Recipe’s Secret Weapon! 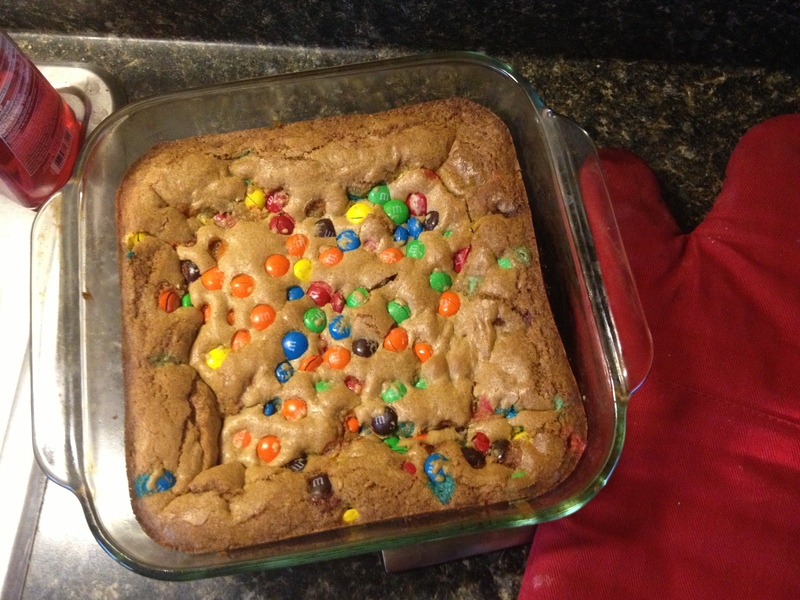 My Only Alteration to this recipe is I tend to add more M & M’s….closer to 1.5 cups total – a little more chocolate never hurt anyone, right? I prefer them slightly warm (about two hours post oven seems to be a good time to get them while they are hard enough to cut, but warm enough melt your heart. 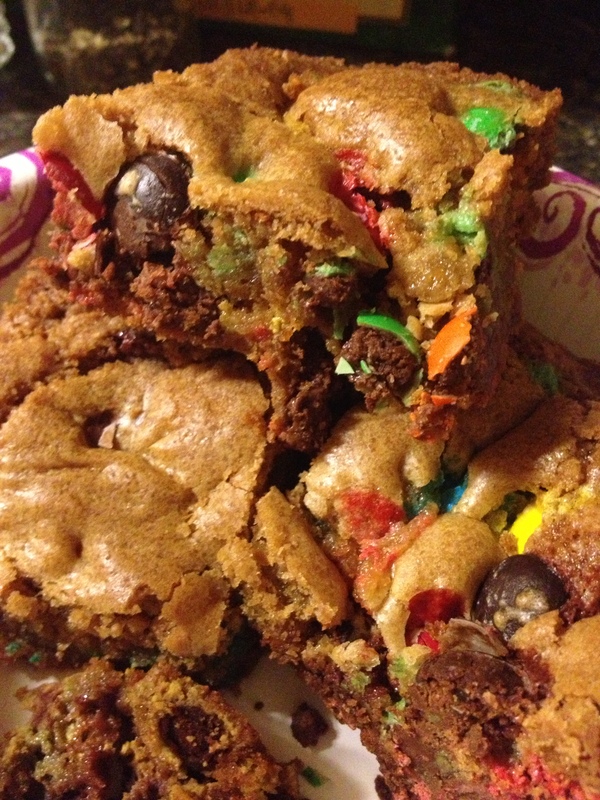 The taste is like a sugar cookie only more dense and brown sugary, and those M & M’s add the perfect chocolate touch! 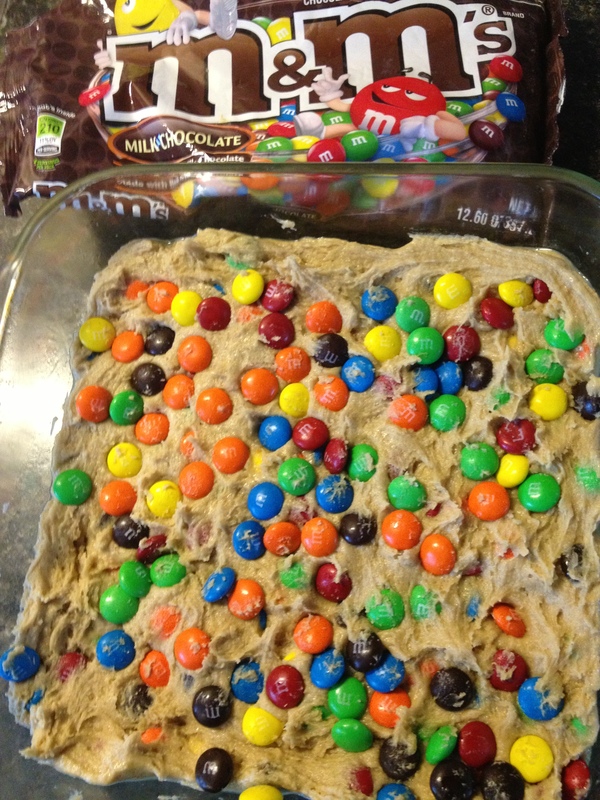 And since M and M’s come in many varieties (both flavor wise AND seasonal), you can make these again and again, no matter what the holiday/occasion. I am thinking I will try mine with peanut next. Or maybe those cute Easter M & M’s? So many possibilities from this one simple tasty treat! 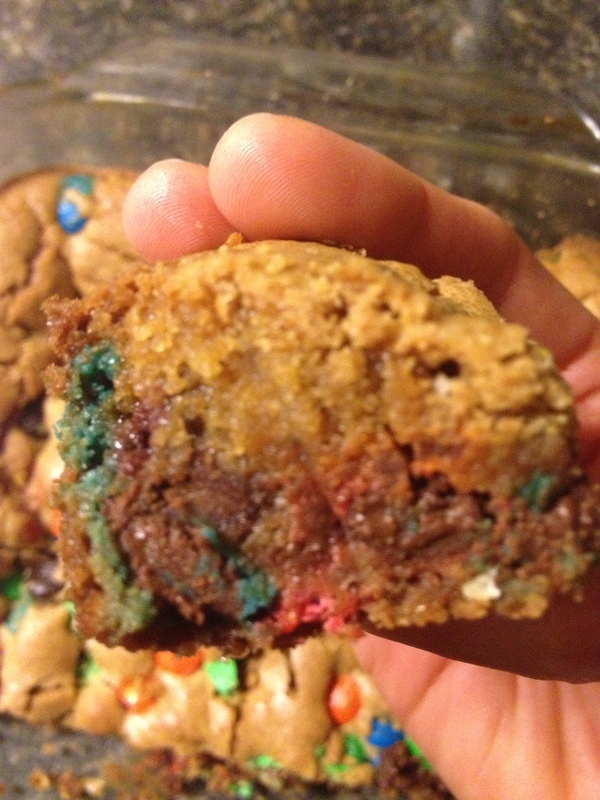 ….This batch didn’t last the night.